Did you know that the university has an office dedicated solely to supporting undergraduate creativity? We do! And they want to support more humanities and social science students. “SOURCE” is the Office for Support Of Undergraduate Research & Creative Endeavors. 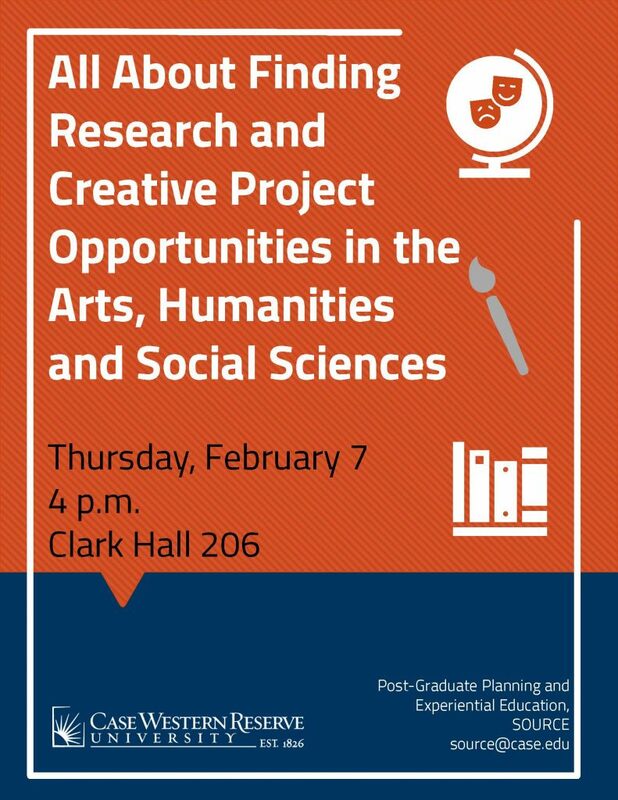 This week, SOURCE’s Director, Sheila Pedigo, is offering a session at the Baker-Nord Center, speficically geared towards projects in the Arts, Humanities, & Social Sciences. The special session is Thursday, Feb. 7 at 4:00PM in Clark 206. For more information on SOURCE’s humanities funding, CLICK HERE.